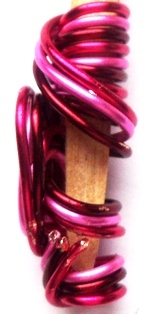 Original handcrafted wire hair adornment by New Bein'. 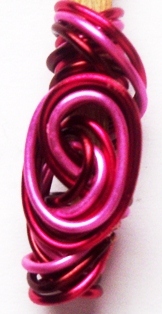 Twisted Collection are 3 color wire blends of thin coated lightweight wire. One-of-a-kind. Style 10. Fits small/medium size Loc, Braid or Twist. ~1 1/4" long.